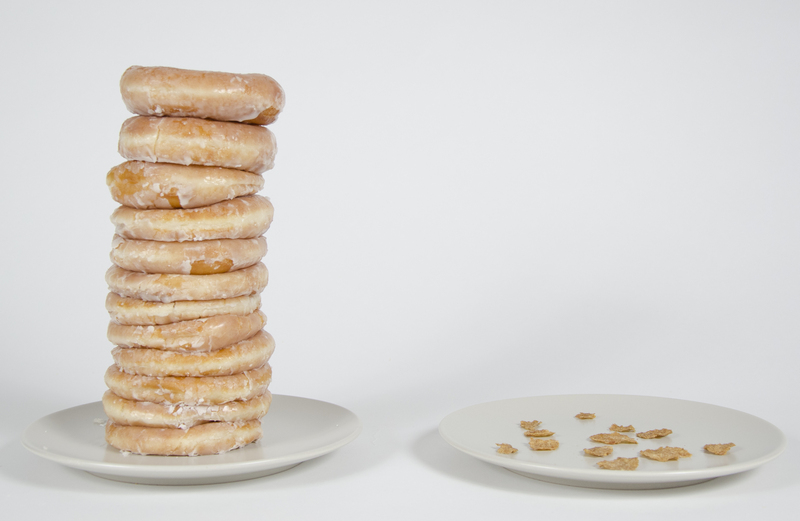 We’re one day closer to the Krispy Kreme Challenge, which means it’s time to compare a dozen doughnuts to a dozen corn flakes. More specifically, a dozen flakes of Special K Protein Plus. Again, I lack the mathematical skills and attention span to calculate the caloric content of 12 corn flakes, but I can tell you that you’d have to eat about 2 boxes of Special K (not including milk) to equal the 2,280 calories in a dozen Krispy Kreme doughnuts.